Groupon has made a big new friend on the playground. The company announced Monday morning that it has partnered with eBay, which, admittedly, had me a little confused. What exactly will a company that offers group discounts at local businesses bring to a major online bidding marketplace, and vice versa? As of Monday, eBay shoppers will find Groupon deals throughout the site, and users who are members of the eBay Bucks Rewards Program who purchase a Groupon deal can earn 5% of the purchase price back in eBay Bucks. Ebay will use geotargeting to find local deals for each user, and Groupon currently runs approximately 200 deals per day in over 100 North American markets. “We're still connecting customers with the best local merchants—leveraging eBay allows us to reach consumers who enjoy online shopping but may not have tried us yet. And if they have, they'll still enjoy 5% of their purchase back in eBay Bucks. Everyone wins,” said Julie Mossler, consumer marketing manager at Groupon, in an email. So what will Groupon do for eBay? According to a prepared statement, “Teaming up with Groupon allows us to surface deals tailored specifically to eBay users and then reward them for shopping,” said Kurt Apen, senior director of loyalty and consumer marketing at eBay. Ebay was founded in Palo Alto in 1995 and went public in 1998. The company, formerly chaired by California candidate for governor Meg Whitman, has spent $7.23 billion in acquisitions, most notably PayPal in 2002 for $1.5 billion, Rent.com in 2004 for $415 million, and Skype in 2005 for $1.9 billion. 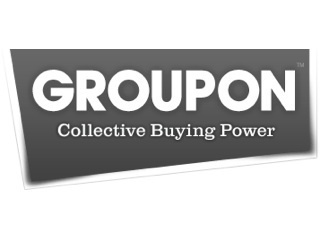 For those who are unfamiliar with Groupon, the Chicago-based startup works with local merchants throughout the United States to bring deals to Internet users on the condition that a minimum number of people must sign up in order to activate the deal. As such deals guarantee a large number of new customers, Groupon has become quite popular among local businesses, who have consequently raised revenue while saving consumers $600 million. Launched in 2008 by founder and CEO Andrew Mason, Groupon has raised $173 million in funding from Accel Partners, New Enterprise Associates, Battery Ventures, and Digital Sky Technologies. In April 2010, the company raised a jaw-dropping $135 million in Series C funding. At that time, Groupon was valued at $1.35 billion, and while the company does not disclose revenues, its estimated 2010 revenue is $350 million. Earlier in October there was some talk about Groupon possibly being acquired by Yahoo. According to unnamed insiders, Yahoo was recently on track to buy up Groupon for $1.7 billion, but Groupon pulled out at the last minute. Other sources closer to Yahoo put the buyout offer well above $2 billion, but to no avail. A number of Groupon-esque startups have been swarming into the social buying space as of late, including LivingSocial, which raised $14 million in Series C funding back in April (right on the heels of Groupon's titanic-sized fundraising round). In the month previous to that round of funding, LivingSocial announced that it raised $25 million in Series B funding. 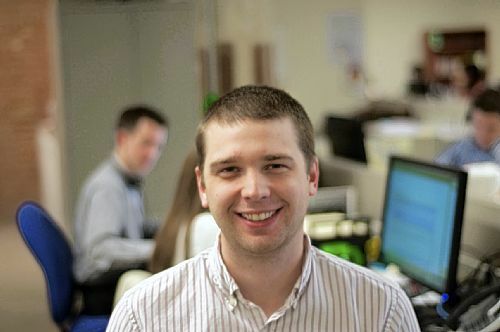 DealPair, founded in 2010, is another startup that secures group discounts for Web users at local businesses. Many more startups are sure to cash in on the social buying space while Groupon continues to expand its reach. DealPair offers you amazing social deals published directly by your local merchants. We help you put money back into your pocket by offering huge savings of 30-85%. Experience more of the great things in your neighborhood without paying the list price at restaurants, bars, local events, sports, health and fitness, salons and many more! It’s time to get out and enjoy more for less - socially! This is SF_BayArea launch to begin with.